Blue Diamond Stakes winner Written By has been retired to join the Widden Stud stallion roster. 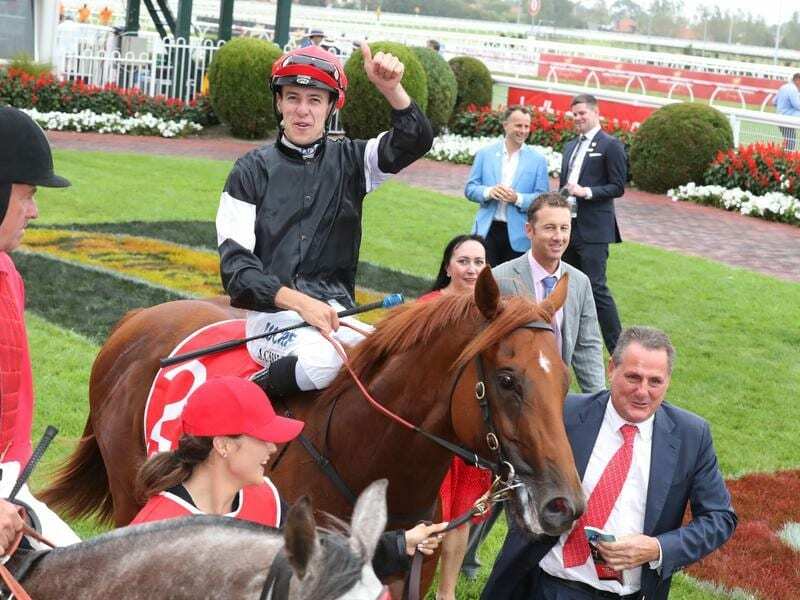 Trained by Grahame Begg for his father, retired Hall of Fame trainer Neville who also bred Written By, the colt won the 2018 Blue Diamond Stakes and retires with six wins from 11 starts. Grahame Begg also trained Written By’s sire Written Tycoon who won the 2005 Todman Stakes before finishing unplaced in the Golden Slipper. Written By fared better in the Slipper, finishing fourth as the first colt home behind Estijaab, Oohood and Sunlight. “Champion 2yo colts have an incredible record at stud. From Luskin Star to Canny Lad and more recently Sebring and Pierro. In fact, Written By’s pedigree even features champion 2yo colts and successful sires Rory’s Jester, Marscay and Vain,” Neville Begg said. Widden’s Antony Thompson said Written By had all the qualities they looked for in young stallions. “Physically, Written By is an awesome individual. Strong, imposing and perfectly built for the Australian conditions and our commercial market,” he said. “We thank Neville and the Begg family for entrusting us to fulfil his next career as a stallion. They have been an absolute pleasure to deal with. Written By will stand his first season at $24,750.